Offering you a complete choice of products which include Shrink Wrapping Machine such as Shrink Chamber Machine, Flow Wrap Machine, Shrink Tunnel Wrapping Machine, Automatic Shrink Wrapping Machine, Online L Sealer Machine and Web-Sealer Shrink Wrapping Machine. GLOBAL PACK MACHINERY COMPANY is engaged in offering best solution for various industries. It is the manufacturer, exporter and the supplier. We offer best range of the products which is cost effective too. 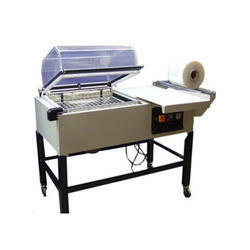 The machine is useful for food, cosmetic, dairy etc. 4. It has PLC control unit. 5. The display is fully colored. 7. It works accurately and put the label on proper place. 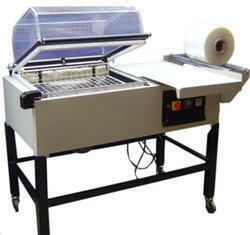 We offer an exclusive range of Automatic Shrink Wrapping Machine at industry leading prices. We manufacture these products using high quality. These are used for Wrapping and are well known for high strength, high performance and long service life. We also ensure that our range is free from any defects and ideal for application. These are available in various sizes, dimensions and can be customized as per the specifications given by the clients.This machine is used for shrink wrapping of a variety of products in the shrink wrapping film in wrinkle free and perfect finish, using least of electricity. Boxes, jewel boxes, bottles, jars, metal components, stationary, can etc. Being the most respected organization guided by experienced and knowledgeable professionals, we provide Flow Shrink Wrapping Machine. Ideal to pack variety of solid shapes & material, our offered machine is developed by using premium quality components under the direction of our adroit professionals. 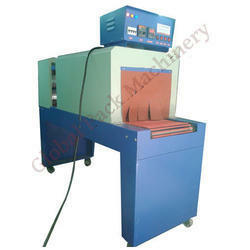 This machine is inspected on various quality parameters to ensure their excellence. 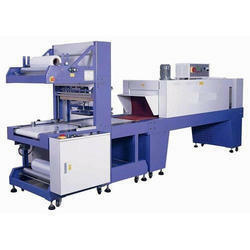 This machine can be availed by our customers at market leading rates in a given time frame. Backed ourselves with sound amenities and talented personnel, we have emerged as one of the leading manufacturer and supplier of Chamber Shrink Wrapping Machine. The chamber machine offered by us is developed using modern technology & top notch material in accordance with the set norms of industry. 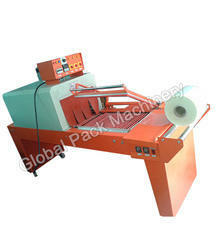 Our offered chamber machine is suitable for such shrink film as PVC, P.P and POB Film. Also, we offer this chamber machine on numerous parameters so as to dispatch a defect-free range at clients' end. With enriched industrial experience and knowledge, we are providing an excellent range of Tunnel Shrink Wrapping Machine that is used in many industries like food and beverage & chemicals. 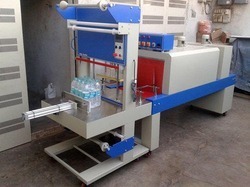 Our skilled professionals manufacture this wrapping machine by using the best quality material and modern technology in accordance with the set norms. 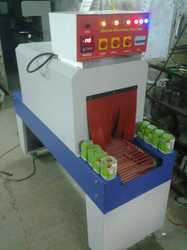 This wrapping machine is appreciated among customers owing to its high efficiency & easy to operate. GPST1212 12"x12" 0.5 KW 230 V 60" x 18" x 50"
GPST1414 14"x14" 0.8 KW 230 V 70" x 22"x 50"
GPST1616 16"x16" 0.9 KW 230 V 80" x 24"x 55"
We offer Web Sealer Shrink Wrapping Machine that is designed for unique and special packing requirements of our clients. Produced using advanced sophisticated machines and infrastructure, these machines are high in performance, utility, easy to operate and serve for long. 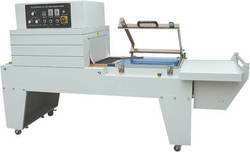 Further, our range of machines finds wide application in various industries for varied purposes.Available in various specifications these can also be custom made as per the clients requirements. 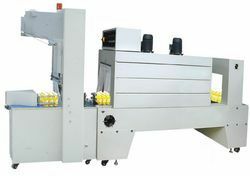 Double reel Automatic Shrink wrapping system for the bundling of any kind of cylindrical, rectangular and irregular shaped products. 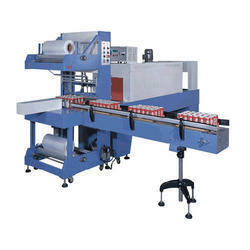 Auto Conveyor for automatic conveying of packs can be provided on LHS -/- RHS to suit individual requirement. Product feeding manually arranged on the loading table with sens for the starting of the automatic cycle also. 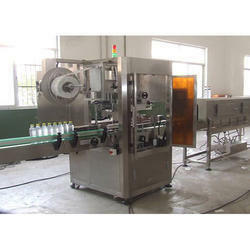 Space saving sleeve, pneumatic pusher for automatic intake of packs. Individual sealing bar with twin sealing elements. Endless PVC or S.S. slate chain conveyor. Specially designed S.S. tubular finned heaters for minimum power consumption and maximum heat transfer. Heavy duty turbo blower for effective and efficient hot air circulation. 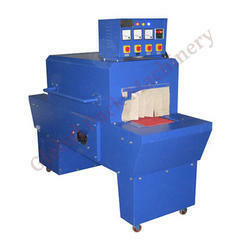 Shrink Tunnel Window Size (20"x 20") With Roller Conveyor. 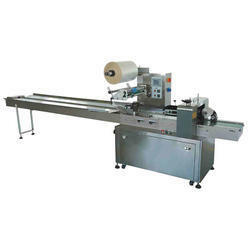 We are engaged in offering Automatic Shrink Wrapping Machine to our clients. Geared motor driven system for both packing rolls. Special pneumatically driven side sealing system, two sealers to provide both side sealing to make it all around seal Digital Temperature Controller PID type. Automatically Transfer of beg/carton after sealing into the tunnel.